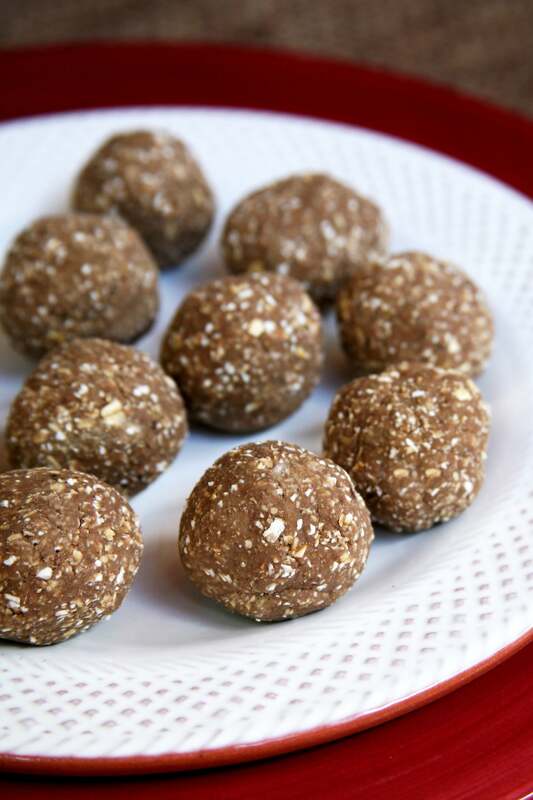 When you need a quick post-workout snack, something with protein and carbs, look no further. 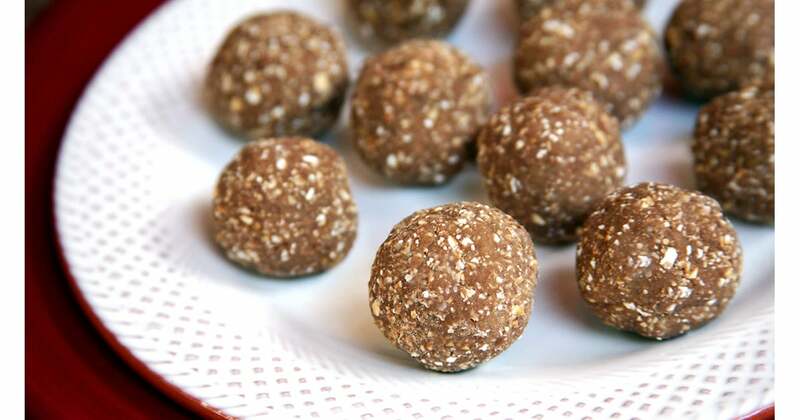 Made with only three ingredients you probably already have in your kitchen, these protein balls couldn’t be easier to whip up. 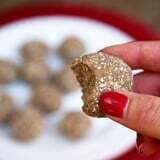 At 47 calories per ball, a three-piece serving is 141 calories and offers 8.1 grams of protein and 24 grams of carbs. 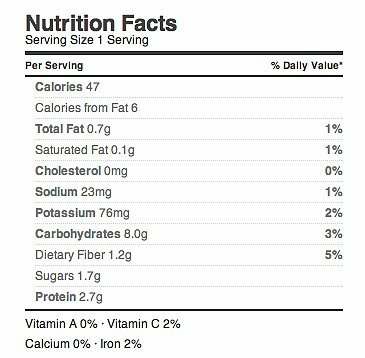 Yet a serving is also low in sugar — just 5.1 grams. 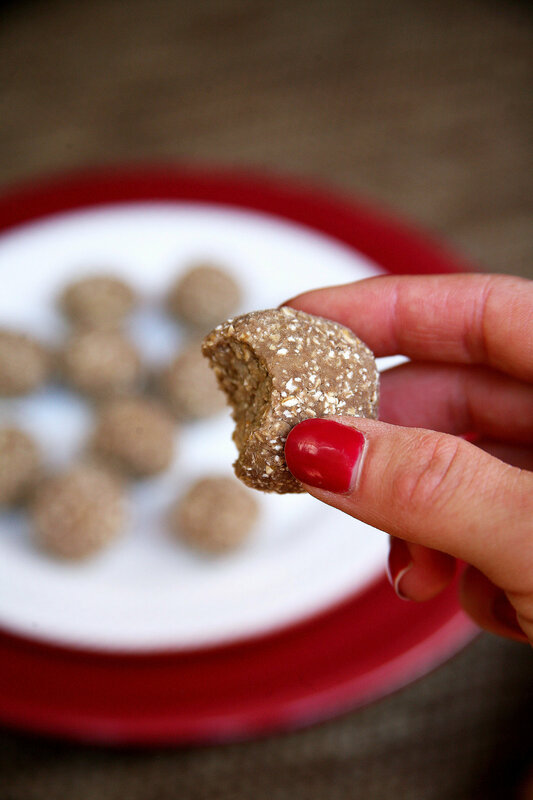 Made with plant-based protein powder, they’re vegan, and they can also be made gluten-free if you use gluten-free oats. If nuts are off limits, you’ll be happy to know there are no almonds, peanuts, or the like. They’re subtly sweet, oh so soft, and doughy, and because they’re made with just a few simple ingredients, this snack is also gentle on the stomach.